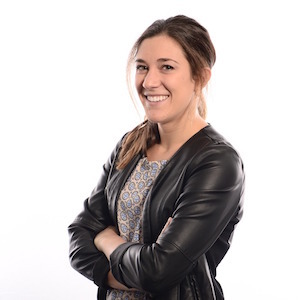 A guest post courtesy Alexa Szal at Alpha. Alexa is a research analyst helping Fortune 500 organizations make smarter product decisions. Through Alpha’s platform, product teams can source target customers, tap into a network of designers to create prototypes, and leverage user researchers to ID breakthrough moments. Speaking to customers is undoubtedly one of the most valuable uses of a product manager’s time. But, as with all things, repetition can lead to even the most exciting and productive activity becoming mundane and eventually pointless. However, by following a few simple practices, product teams can capitalize on every customer interview and maximize the potential for ‘aha’ moments that lead to great new product and feature ideas. If you work in technology, it’s so convenient to speak to and get feedback from other technologists. But, while we’ve all done it, don’t continuously make the mistake of convenience. Finding the right person, not the easiest person, to interview is crucial. Just because two people may use the same product does not mean that their opinions and experiences are identical or representative of the userbase. Ensuring you are talking to someone in the appropriate segment or target market can illustrate the unique perspective and workflow of customers who use the product. This then produces product feedback that is grounded and actionable. You may have to get creative when it comes to recruiting customers to interview. For example, if you’re targeting Hotels or Property Management Groups, consider utilizing LinkedIn Ads or Google Ads. If you are looking for a particularly niche segment, you might also consider Snowball Recruiting – in which you ask existing participants if they know any colleagues or acquaintances who also fit your segment and would be interested in participating. While extensive recruiting can be daunting, it is important to remember that, generally speaking, people enjoy chatting and being asked about their opinions! 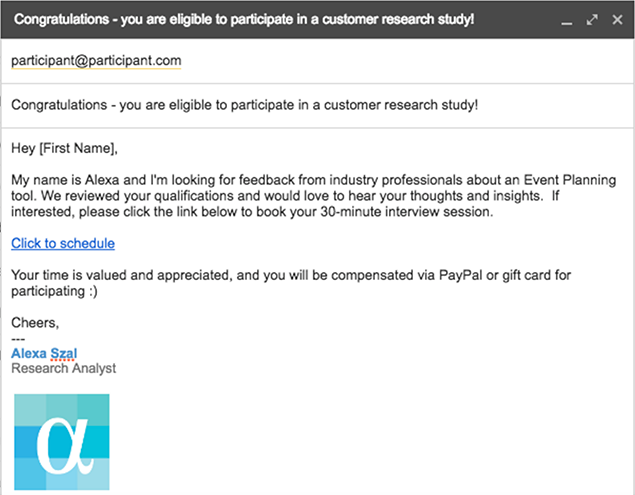 I’ve included a sample email below that I might send after someone qualifies to participate based on their response to an ad or pre-qualification survey. Obviously the copy varies greatly depending on the product and customer segment, but as long as you are organized and respectful throughout your recruiting, it should be a smooth process. 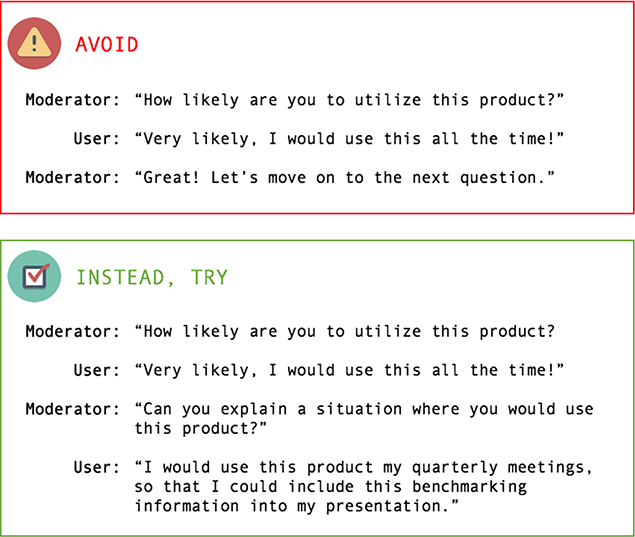 Not every conversation with a customer necessarily needs to have an explicit script, but product teams should always have a clear objective for the interview. With a goal in mind, product managers and researchers can work backward to devise corresponding questions aimed at unveiling relevant feedback. Your objective might be to test an assumption or hypothesis, or to explore a customer’s current behavior or perception. However, when there’s no clear objective, or the objective is unstructured and complex, there becomes too many opportunities for the conversation to diverge. Diluted responses can hurt your chances of identifying patterns. To obtain actionable feedback, it’s necessary to simulate a “real” and authentic interaction between the customer and the product or prototype. That means providing appropriate context of the situation (e.g. ‘imagine you just saw an app on Shark Tank, now how would you go about purchasing it?) as well as providing a tangible solution to evaluate. If you’re not getting feedback on a live product but instead using a prototype, make sure that the prototype reliably conveys the solution you are proposing. Be careful not to manipulate fake information in the prototype to misrepresent what a typical user would see. There are a number of tools that enable you to create a high-fidelity, clickable prototype that, for the sake of an interview, is nearly indistinguishable from a live product. Allow users to report in real-time what they like, dislike, or find to be confusing or unclear as they interact with the product. As you interact with the customer, it may be helpful to have a colleague take some diligent notes that can be addressed and questioned further in the post-interview. Remember that in the ‘real world’ customers always have options. If you want to assess whether a customer would pay for a product, you may have to also present alternate products and ask which they’d prefer (without informing them which is your’s). Alternatively, you can ask them to tie their response to a specific situation or scenario where they would use or purchase the product. Simply asking whether or not a customer ‘likes’ or ‘wants’ a feature or product doesn’t actually simulate an authentic experience. Having the customer provide a grounded example enables the researcher to better understand the use case, and protects against false positives where the customer is just trying to be nice but can’t actually think of a practical application for the product. During interviews, it’s quite common for customers to look to you (or the moderator) for guidance. But if you answer their questions directly or tell them what to do, you miss out on understanding why they’re confused in the first place. Instead, continue asking questions to help the customer frame and define the problem on their own, in their own words. This helps to prevent your own assumptions from biasing their feedback. 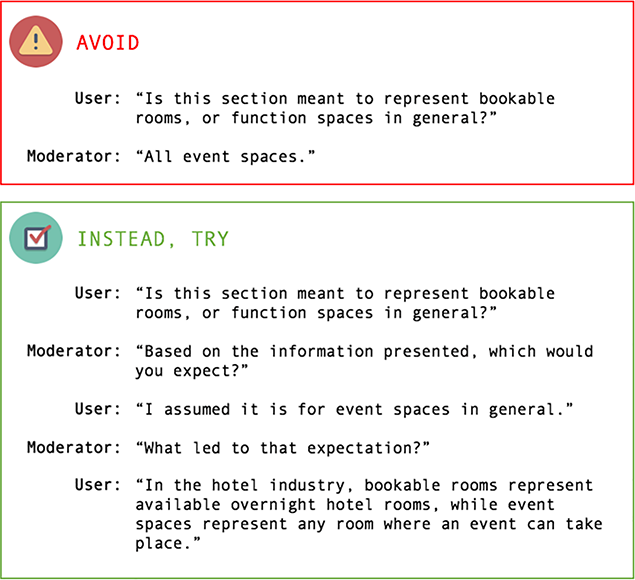 The second scenario allows the moderator to clarify where the confusion lies, what the user would expect to see, why they would expect to see it, and also how this perception fits within their industry norms. The “Five Why’s” methodology is a popular technique for getting to the root of a problem. It can be used to provide a comprehensive understanding of a user’s thought process, rather than just surface-level reporting. Don’t be afraid to ask users to explain and clarify their reasoning, even if it seems obvious. It’s important to eliminate all assumptions – that’s the benefit of qualitative data and the reason why you’re talking to customers in the first place! Posted by on Wednesday, July 13, 2016.